After a campaign focused significantly on more strictly enforcing immigration law and restricting new arrivals, U.S. President Donald Trump began to deliver on these promises in his first year in office. On the campaign trail, the Republican pledged to fence off the entire U.S.-Mexico border, deport 2 million to 3 million noncitizens with criminal records, and gain more cooperation on enforcement from local authorities. Trump also promised to end “on Day One” President Barack Obama’s “unconstitutional executive amnesty”—the Deferred Action for Childhood Arrivals (DACA) program, which grants work authorization and temporary relief from deportation to certain unauthorized immigrants who came to the United States as children. Since taking office in January 2017, the Trump administration has followed through on some of the candidate’s pledges by overhauling interior enforcement policies and ordering the phaseout of DACA, throwing into limbo the future of some 690,000 recipients, who are also known as DREAMers. During the year, the administration also announced it would end the Temporary Protected Status (TPS) designation for nationals of Haiti, Nicaragua, and Sudan. Authorized by Congress in 1990, TPS is a form of humanitarian relief that allows several hundred thousand foreign nationals in the United States, mostly from Central America and the Caribbean, to stay and work. The rollback of DACA and TPS alongside the affirmation that all unauthorized immigrants are priorities for removal have generated widespread fear in immigrant communities, while also signaling that the U.S. government has much less tolerance for illegal immigration—a message that may be associated with a steep decline in U.S.-Mexico border apprehensions. In one of his first official acts, the President signed an executive order in January to revamp the interior enforcement system. The order reversed 2014 Obama administration guidelines that had narrowed the enforcement focus to noncitizens with criminal records, recent border crossers, and those who had violated recent removal orders. While criminals remain a top priority for removal, the Trump administration has made clear that all unauthorized immigrants encountered are targets for arrest and deportation. The executive order also directed U.S. Immigration and Customs Enforcement (ICE) to expand the use of 287(g) agreements under which local law enforcement agencies help identify and detain removable noncitizens, and ordered the Justice Department to impose penalties on state and local agencies that refuse to cooperate with ICE. The administration implemented the executive order quickly, with substantial results. ICE arrests rose noticeably during Trump’s first year, though they have yet to reach the peak levels seen early in the Obama administration, before the narrower enforcement priorities came into play. Between January 20 and September 30, 2017, ICE arrested roughly 111,000 unauthorized immigrants in the U.S. interior, a 42 percent increase from the nearly 78,000 arrested over the same period in 2016—but still well below the more than 300,000 arrested each year during fiscal year (FY) 2008 through FY 2010. Some of those arrested were bystanders in more targeted ICE operations, having no criminal record or recent immigration violation. Arrests of noncitizens without criminal convictions more than doubled, and their share of all arrests rose from 14 percent to 26 percent. ICE also deported about 61,000 immigrants from the interior between January and September, a 37 percent increase compared to the same period in 2016, but below the 200,000 removals annually from FY 2008 through FY 2011. Meanwhile, the Trump administration has had mixed success on the cooperation front. It increased the number of 287(g) agreements between ICE and local agencies—mostly sheriffs’ offices operating county jails—from 29 in January to 60 in August, with 23 more slated to begin by the start of 2018. In May, Texas enacted SB 4, a law allowing officers to question detainees about their immigration status, encouraging local sheriffs’ offices to establish 287(g) agreements (18 did so in 2017), and penalizing cities and counties that refuse to cooperate with ICE. Georgia, Indiana, and Mississippi also passed laws supporting a role for state and local authorities in immigration enforcement. Nonetheless, the fewer than 100 agencies participating or planning to participate in 287(g) represent a small fraction of the more than 2,000 law enforcement jurisdictions nationwide, and include no major U.S. cities. Also, courts have thus far blocked efforts by the Justice Department to withhold federal funding from so-called sanctuary jurisdictions that do not cooperate with federal immigration enforcement. ICE has made a point of conducting field operations in noncooperative jurisdictions. But these states and cities—including California, Illinois, and Connecticut, alongside New York City, Chicago, Philadelphia, and Boston—remain steadfast in their opposition to working with ICE to arrest and detain unauthorized immigrants. The California Values Act (SB 54), which takes effect in January, doubles down on the state’s earlier Trust and Truth Acts by prohibiting state and local officers from using state funds to investigate, question, hold, or arrest people for immigration violations unless they have been convicted of certain crimes. Thus, while some states and localities eagerly joined the federal immigration enforcement efforts, others remain vehemently opposed—meaning that where unauthorized immigrants live greatly determines their risk of deportation. The administration has also taken aim at programs that provide temporary work authorization and protection from deportation for certain individuals. Responding to a threat by several state attorneys general, led by Texas, to challenge DACA in the courts, the administration announced on September 5 that it would phase out the program. The Department of Homeland Security (DHS) stopped accepting applications from first-time DACA applicants, while allowing some 154,000 recipients whose two-year benefits would expire on or before March 5, 2018 to renew one last time if they applied by October 5. The remaining 536,000 recipients were not eligible to renew, so beginning March 6, 2018, an average of roughly 915 DACA holders per day will fall out of DACA status. Another 22,000 DACA beneficiaries are already gradually falling out of status because they failed to submit their renewal applications by the October deadline, with some citing delivery delays by the U.S. Postal Service. When DACA expires, beneficiaries will lose not only their work authorization and protection against deportation, but also their driver’s licenses and access to in-state tuition in states that otherwise do not extend these benefits to unauthorized immigrants. Beyond DACA, the administration has taken aim at TPS, a program authorized by Congress that provides similar benefits to nationals of certain countries who are unable to return safely due to civil unrest, violence, or natural disasters, for periods of up to 18 months. The lingering effects of hurricanes, combined with ongoing instability and limited government capacity to handle returns, have led prior Republican and Democratic administrations to repeatedly extend TPS for Honduras and El Salvador, for 18 years and 16 years respectively. However, the new administration has expressed growing opposition to extending TPS because it considers country conditions to have stabilized and argues that further redesignations could incentivize new illegal inflows. By November, DHS had announced the end of TPS for nearly 65,000 nationals of Haiti, Nicaragua, and Sudan combined—each with months of lead time to allow TPS holders to plan for their return in an orderly fashion. The department provided a six-month extension for 86,000 Hondurans, through July 5, 2018, while it fully assesses country conditions, but warned that it may not extend the designation again. These decisions have raised anxiety among the more than 262,000 Salvadorans whose designation ends in March 2018. DHS is expected to announce its decision for Salvadorans—the largest group of TPS holders—by January. If DHS decides to terminate TPS for Honduran or Salvadoran nationals, it is likely to provide several months for affected individuals and their countries of origin to plan for a safe and orderly return. Beyond the President’s hardline rhetoric on immigration during and after the campaign, his administration’s decisions to escalate interior enforcement, end DACA, and curtail TPS for some countries have propagated fear among U.S. immigrant communities, even as his policies have excited his base. To minimize the risk of deportation, some unauthorized immigrants are reportedly withdrawing from public life by avoiding medical care, abstaining from reporting crimes, or not signing up for public benefits they may be eligible to receive. Many Republicans and Democrats in Congress have recognized the urgency of finding a permanent solution for DACA recipients and other unauthorized immigrants who came to the United States as children. With the DACA phaseout beginning in full in March, legislators have introduced at least eight proposals to shield the program’s beneficiaries. These range from more targeted bills that would permanently extend work authorization and relief from deportation to DACA recipients to more sweeping legislation that would legalize the broader cohort of DREAMers, provided they meet educational, professional, or military service obligations. Legislators have also introduced bills to offer legal status to some current TPS holders. But approving any such proposal would undoubtedly require concessions by Democrats to expand enforcement or limit new immigration, opening an opportunity for the Trump administration to leave a longer-lasting mark on U.S. immigration policy. Aguilar, Julian. 2017. Texas Back in Federal Court Over Anti-“Sanctuary Cities” Law. Texas Tribune, November 7, 2017. Available online. Chishti, Muzaffar, Jessica Bolter, and Sarah Pierce. 2017. Tens of Thousands in United States Face Uncertain Future, as Temporary Protected Status Deadlines Loom. Migration Information Source, December 1, 2017. Available online. Gomez, Alan. 2017. Trump Plans Massive Increase in Federal Immigration Jails. USA Today, October 17, 2017. Available online. Robbins, Liz. 2017. Number of DACA Applications Stuck in the Mail Tops 900. The New York Times, November 30, 2017. Available online. Rosenblum, Marc R. and William. A. Kandel. 2012. 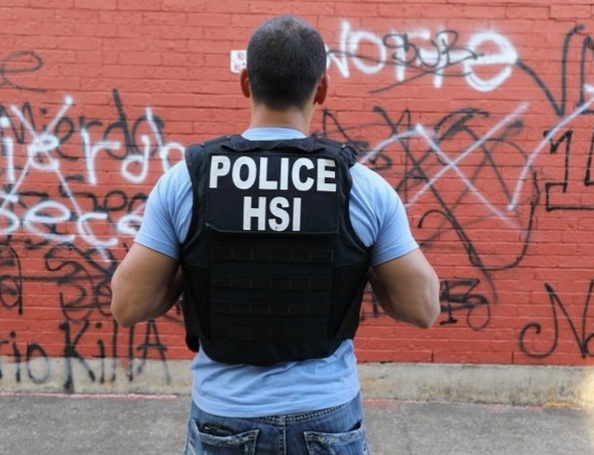 Interior Immigration Enforcement: Programs Targeting Criminal Aliens. Washington, DC: Congressional Research Service. Available online. Sacchetti, Maria. 2017. Deportations from the Interior of the United States Are Rising under Trump. Washington Post, October 7, 2017. Available online. Ulloa, Jazmine. 2017. California Becomes 'Sanctuary State' in Rebuke of Trump Immigration Policy. Los Angeles Times, October 5, 2017. Available online. U.S. Citizenship and Immigration Services (USCIS). 2017. Temporary Protected Status Designated Country: Haiti. Accessed November 28, 2017. Available online. ---. 2017. Temporary Protected Status for Sudan to Terminate in November 2018. Press release, September 18, 2017. Available online. U.S. Department of Homeland Security (DHS). 2017. Memorandum on Rescission of Deferred Action for Childhood Arrivals (DACA). Memorandum, DHS, September 5, 2017. Available online. ---. 2017. Acting Secretary Elaine Duke Announcement on Temporary Protected Status for Nicaragua and Honduras. Press release, November 6, 2017. Available online. U.S. Immigration and Customs Enforcement (ICE). 2017. Delegation of Immigration Authority Section 287(g) Immigration and Nationality Act. Accessed November 28, 2017. Available online. ---. 2017. ICE Arrests over 450 on Federal Immigration Charges during Operation ‘Safe City.’ Press release, September 28, 2017. Available online. ---. 2017. FY 2015 ICE Immigration Removals. Accessed December 14, 2017. Available online. Wilson, Jill H. 2017. Temporary Protected Status: Overview and Current Issues. Washington, DC: Congressional Research Service. Available online.